Call 716-926-8262 to schedule your first appointment. If you're suffering from hearing loss, Miracle-Ear® is here to help. Our hearing aid center serves Williamsville, Clarence, Getzville, Buffalo, and East Amherst, and we offer hearing aids with incredible sound quality. Miracle-Ear is America's most recognized brand of hearing aids, and we have over 1300 locations nationwide. When you visit our center, our Hearing Care Specialists will work to quickly improve your hearing. When you're ready to experience powerful, crystal-clear sound, come try out one of our hearing aids. With Miracle-Ear, you'll get a hearing aid that uses industry-leading innovations, such as our new GENIUS™ Technology. GENIUS™ Technology can actually give you above-average hearing by using computer technology to pick out the voices of people talking to you. If you own a smartphone, you can download the GENIUSlink and MEBluConnect Remote apps* that enable you to adjust the volume and other settings of your hearing aid from your phone's touchscreen. If you use other electronic devices, such as MP3 players or smart TVs, you may want to hear about our Bluetooth®-enabled products, which can give your listening experience an extra level of clarity. If conversations are harder to follow than they once were, visit our location for a free examination. You'll get a risk-free, 30-day trial† of one of our hearing aids to allow you to decide if it suits you before making a commitment. If you're looking for hearing aids in Williamsville, NY, stop struggling with diminished hearing. Discover and experience the Miracle-Ear® advantage today. Our Hearing Care Specialists will work with you to find a style you like. Call us today to learn more about our range of products. 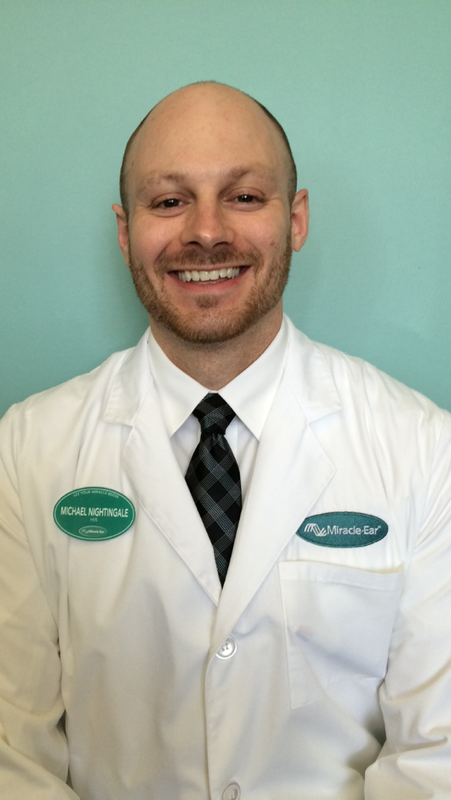 As a Hearing Health Care Professional, Michael practices at both our Williamsville and Tonawanda locations. Michael is a New York State Fully Credentialed Hearing Instrument Specialist. Michael's favorite part of being a Miracle Ear team member is, "affording patients the opportunity to improve their communication with friends and family and bettering their lives overall. 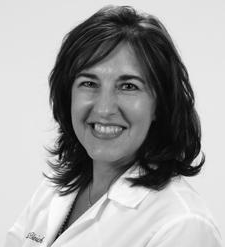 Andrea is certified by Miracle Ear as a professional assistant and has over 18 years experience providing office support in the hearing industry. Andrea has been a member of the Miracle-Ear team since 1998. 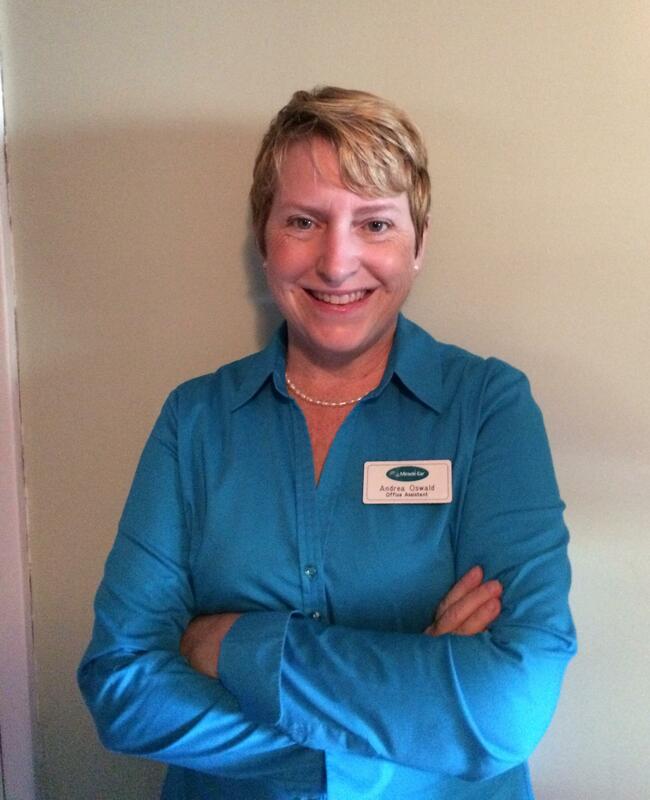 Andrea's favorite part of working at Miracle-Ear is working with the clients. "Over the years I have developed friendships with many of our clients. It is not uncommon for some of them to stop in between appointments just to say hello, or to bring me flowers from their garden. Or to show me a photo of their latest grandchild" - Andrea.